Another year has passed and today I turned 33. I've listed down things that I'm grateful for at this age but I keep on adding things on and ended up not finishing that post because the blessings are endless, all praises to the Almighty. I spent yesterday fully working at home (my son is unwell so I had to be home) till about midnight. 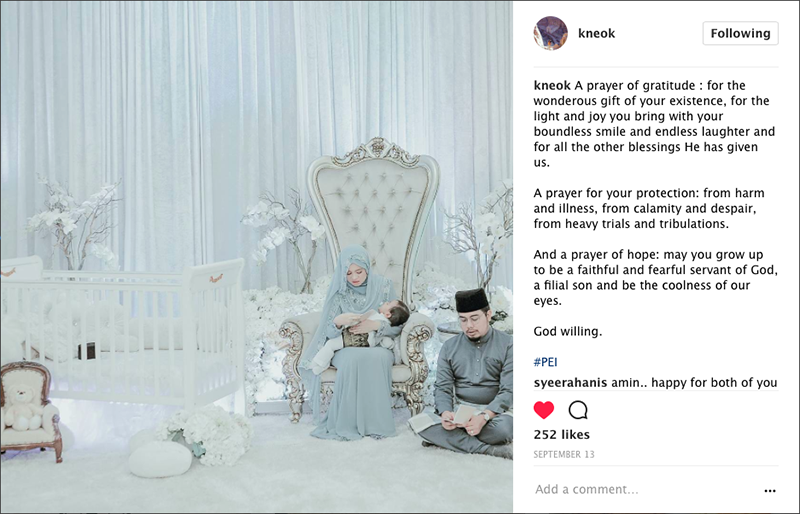 The husband Khubayb was the first to wish me happy birthday while I was posting on IG some videos (which I also posted on my blogpost yesterday). And then he surprised me with something useful that I have been eyeing for quite awhile Alhamdulillah still so excited about it and will be for quite a long while. Thank you Sayang, you know me best! Even without that I'm already content with what I already have. And plus, I have blogged about a gift that I'm extremely grateful for in CHANGE : MY UNIVERSE and also of course, MY LITTLE PRINCE, E. I cannot be more thankful. I've received so many messages and comments, and personal messages on my IG, whatsapp and Facebook. Initially I wanted to individually thank everyone who messaged me and commented wishing and praying for the best for me but then I started to become positively overwhelmed with all the messages. So, thank you to those who have prayed the best for me and today on my birthday and all the other days. I appreciate you and your prayers and I pray that God will reward you abundantly for your kindness. Much LOVE!!! I was with my immediate family the whole day as I spent the first half of the day till the afternoon in the hospital as my son is not well.The other half of the day I spent working from home and doing some research on work. 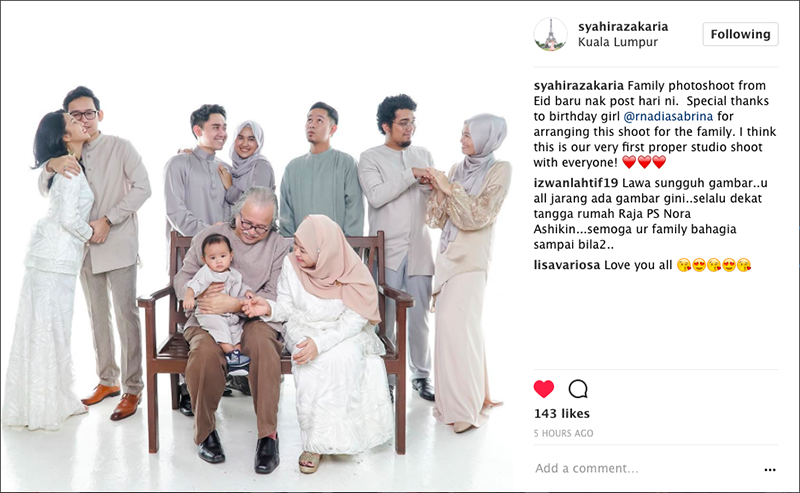 And just now, I started to blog and compiling some postings on IG and whatsapp from dearest family members and decided to post it here because this reminds me of how I am so blessed to be loved by my family members who accepts me the way I am and who are my biggest life-support system. At the end of the day, when time gets hard its family who will always be there for you. And I'm thankful and blessed to have my dearest family members. Thank you to my parents for bringing me to life 33 years ago, today. Your love towards each other brought me to life and I pray that your love will last forever and may your sacrifices for me and the rest of the kids bring you to heaven. 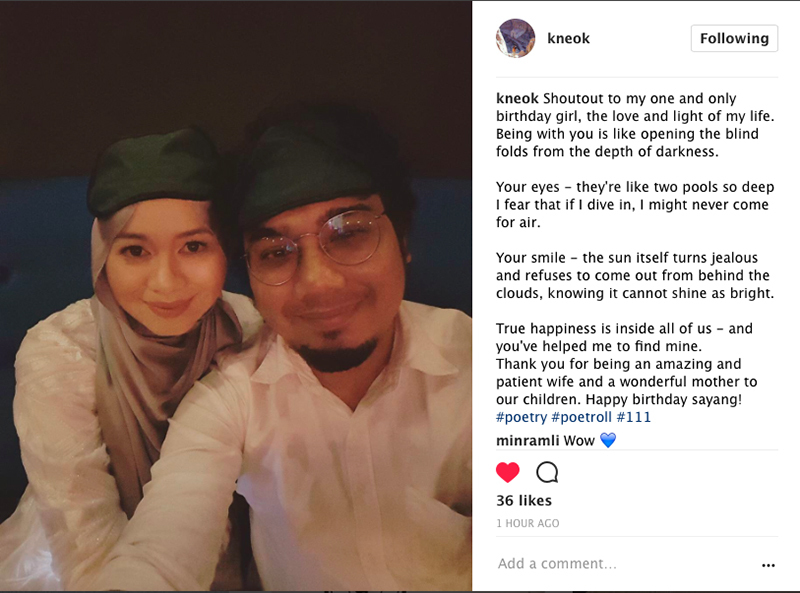 A post by my husband Abdullah Khubayb aka @kneok who is himself one of the biggest blessings in my life. The father to my children. which have just grown and expanded to be even bigger. Thank YOU for bringing me to life 33 years ago, today. For raising me, providing shelter, food, love, care and support while I was growing up. 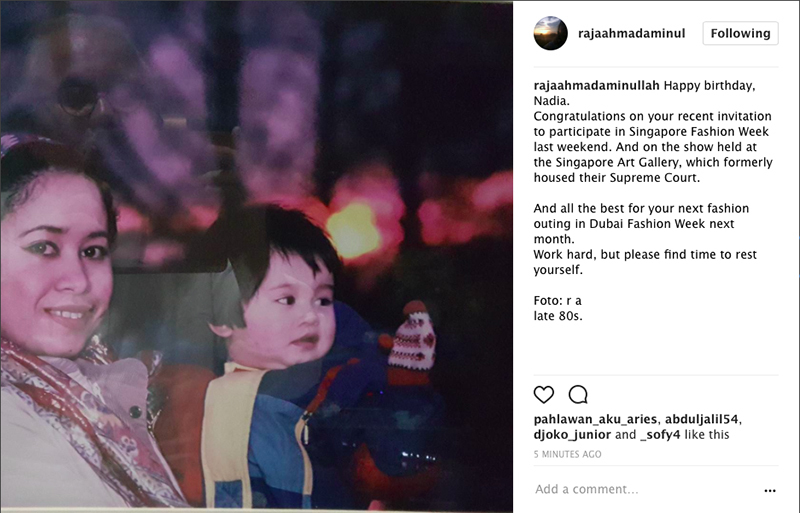 A photo by my father Raja Ahmad Aminullah of a framed image of me and my mother captured by him many many years ago at my birthplace with his reflection spotted at the frame here, posted on his IG today. 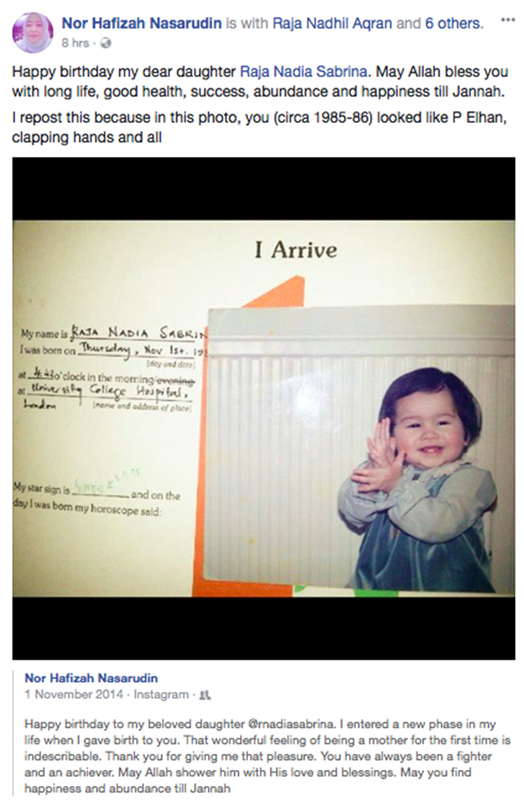 A post by the one who gave birth to me via C-section 33 years ago and raised me to be the person that I am. Without her I wouldn't have even be here and enter the world.Thank you for fighting your life to give birth to me 33 years ago, on this date. Thank you for all the sacrifices that you have done to raise us. Thank you for sacrificing your own life for us. 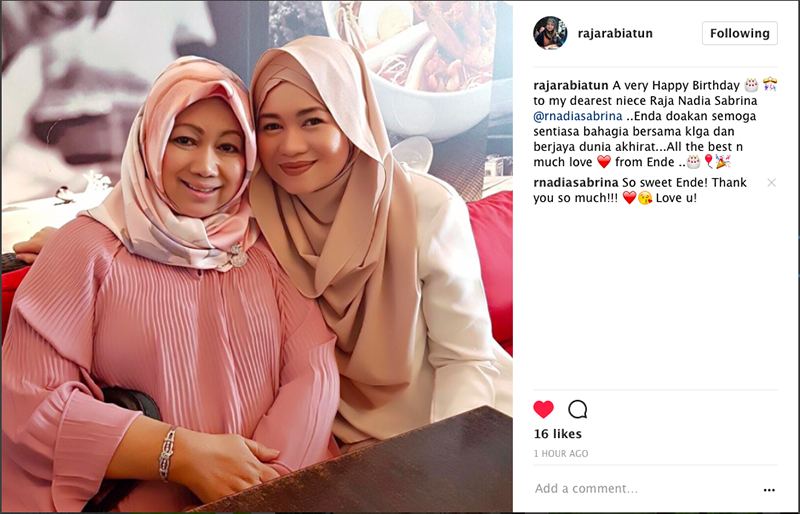 my mom and my other SIL Ellysa Saheera. The two sisters that I gained in the family, like finally sisters in the family whom I never had before my brothers got married to them. Blessings in the form of beautiful, supportive, lovely ladies. 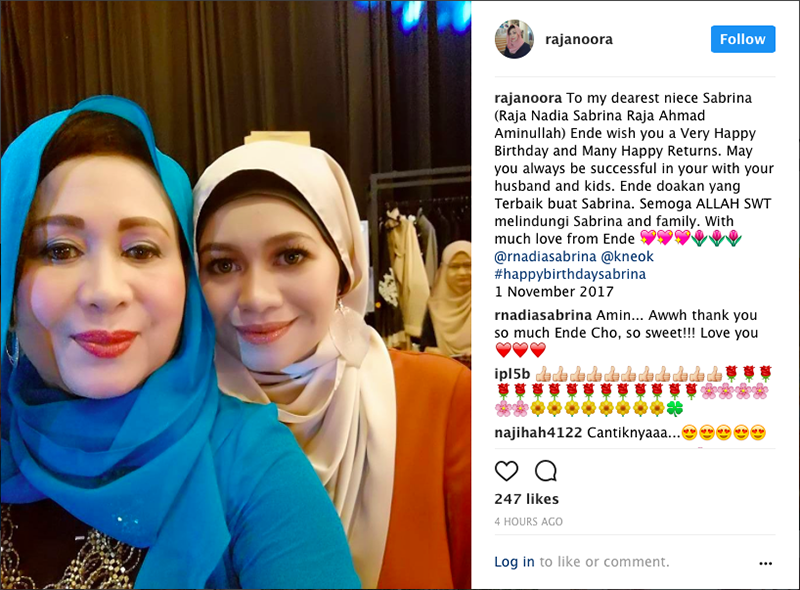 A post by my kindhearted and generous aunt, Ende Cho Raja Noora Ashikin one of the most supportive aunts ever who has been there throughout all the hardships and challenges that I went through. Too blessed to have her in my life. My husband's post for me today. The best, made me laughed so hard coz he knows what movie I love so much right now because of the kids hahaha. 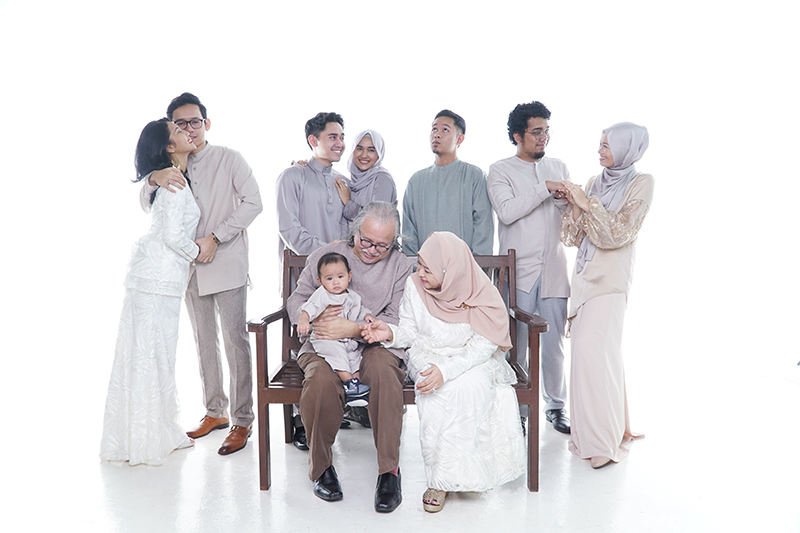 The strong aunt who has gone through so much but always lively, cheerful and bubbly. My Aunt, Ende Zara. 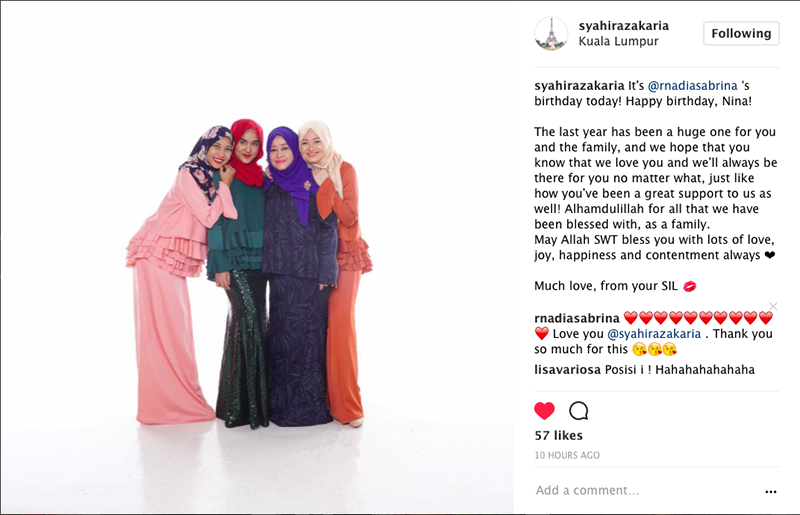 Thanks for posting this Sya, reminds me to post this on june too. My aunt, Mak Yang, was the first to post this wish in my mum's side of whatsapp group and I'm extremely thankful. My dearest SIL, Ellysa Saheera. So much love and thankful for gaining another sister in my male-dominated family. Hehe. And also had this special photo and wish all the way from OULU! Hehe. Thank you so much to all family members, relatives, friends, commenters, blog readers for all the wish and prayers. May God grant you even more than what you have prayed and wished for me. There's no me without you. Much love!